We are already deep into what has been a very mild fall, and there are still plenty of projects to keep gardeners active and outdoors. 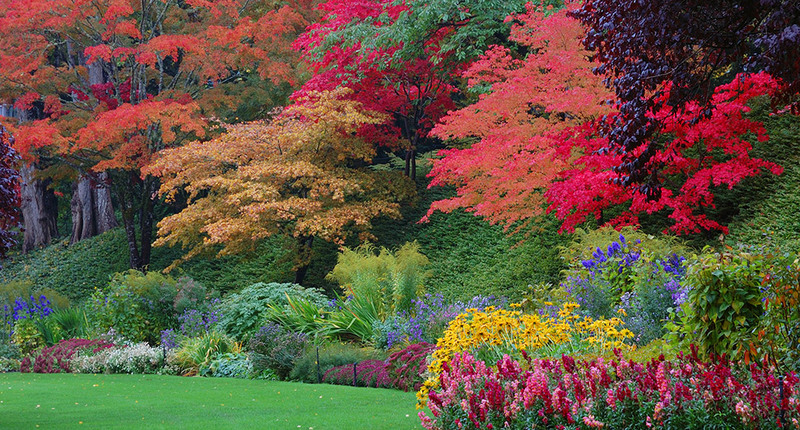 Fall is an excellent time for planting. We have a few suggestions for adding color — now and in the spring. 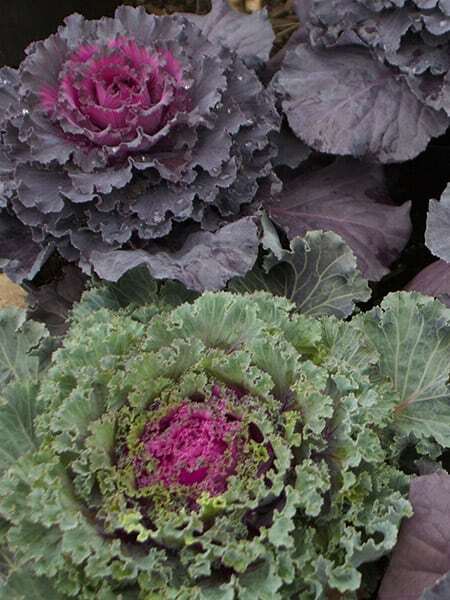 For a quick color fix, plant Ornamental Kale and Cabbage. We have a large selection of these plants that lend texture and color to your landscape, garden bed, and container plantings. While many varieties start out green, the chilly weather will bring out vibrant color in these plants. Watch and marvel as the central rosettes of these ornamentals turn pink, purple or white, based on the varieties. Ornamental Cabbage and Kale can look lovely right through the Christmas season. 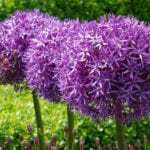 Autumn is the time to plan a stunning spring bulb display. We have the area’s very best selection of spring-blooming bulbs, including numerous types of Tulips, Daffodils, Crocuses, Frittilaria, Muscari, Anemone, Snowdrops, Alliums, and more! For an extra-long display, choose varieties that will flower in succession throughout the spring. 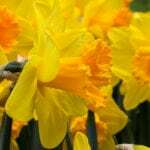 When preparing to plant bulbs, remember to fertilize with Bulb-tone, an organic plant food. We also recommend Bumper Crop, an organic soil amendment, that includes peat, sphagnum moss, composed manure, and many other ingredients that help plants thrive. We recommend mixing 25% Bumper Crop with the native soil you removed when digging the holes for the bulbs. 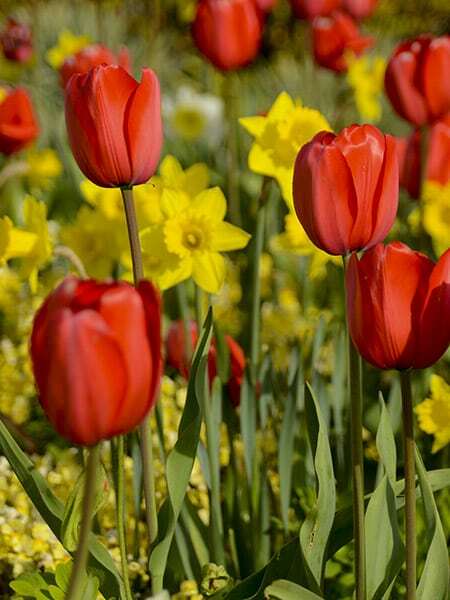 Rule of Green Thumb: Bulbs should be planted three times deeper than their height or diameter. 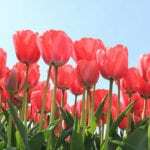 Large-flowering Tulips and Daffodils should be planted 7-8 inches deep. Protect your plantings with Repellex planting tablets, which are placed below the soil where your bulbs were planted. The tablets break down and are taken up systemically by the bulbs’ roots. That means the flower bulb, foliage, and flower become distasteful to animals. Repells All Animal Repellant can also be applied to the surface of the soil and on the foliage of bulb plants. This all-natural product will protect your bulbs for up to two months. 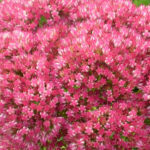 We recommend that you supplement these products with Deer Out or Liquid Fence, repellents that should be sprayed in your bulb garden the minute the foliage and buds appear in the spring. You can also stop animals from digging up your bulbs. Foil their plans by adding crab shells to your garden. You may also decide to place chicken wire over your bulb garden, but you will have to remove this barrier in early spring when foliage starts to emerge. Depending on the weather, that should be some time in March. Remember that Canna Lilies, Caladiums, Elephant’s Ears, and Dahlias should all be dug up and stored indoors for the winter. These bulbs will overwinter well if they are stored in a cool, dry place, like a basement or garage that will not get too hot and will not expose your bulbs to freezing temperatures. Bulbs should be dry (but not desiccated) when you place them in peat moss or vermiculite for storage. 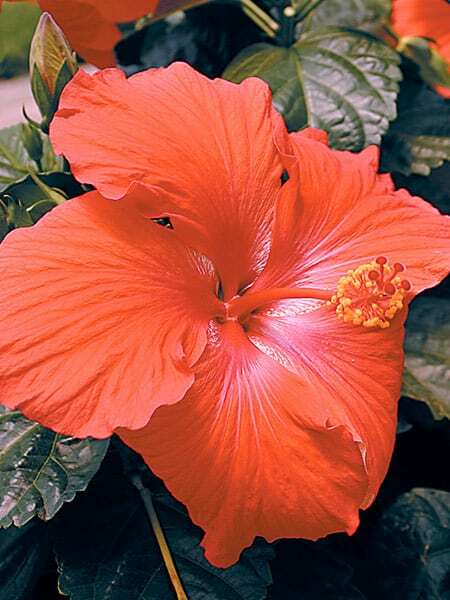 If you put houseplants outside to make the most of the long days, or if there are plants you want to survive the winter (like Tropical Hibiscus or Begonias), it’s time to bring them indoors. Keep in mind that the pests that plague plants are not always visible, so consider spraying your plants before taking them into your home. “Spray” is not synonymous with “toxic.” We have neem oil and insecticidal soaps that will do the trick. We also carry “Eight,” a ready-to-use insect control for the home and garden that contains sulfur and pyrethrins that pack a bit more punch. Systemic Houseplant Insect Control by Bonide can be applied to the surface of the soil and then watered into the soil layer to protect plants for up to eight weeks. 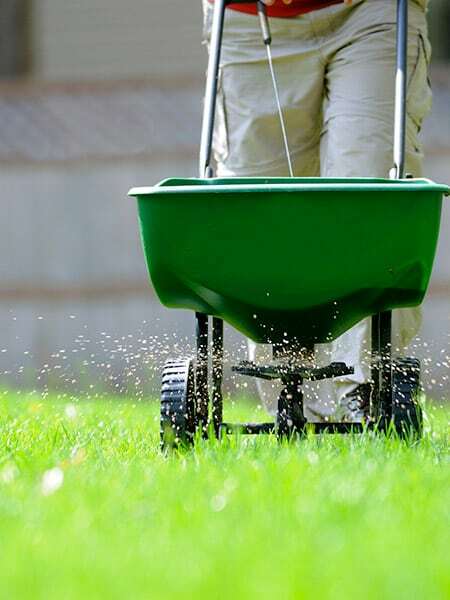 Fall is an excellent time to feed your lawn, trees, and shrubs before winter arrives. Keep your grass, trees, and shrubs well fed so they will have an easier time standing up to Old Man Winter. They will also produce better spring growth. At Rohsler’s, we recommend Greenview Fall lawn food, which is now on sale at a 20% savings. Holly-tone is recommended for all of your evergreens, and Plant-tone can be applied to deciduous trees, shrubs, and most perennials. Stop by today and ask our experts which products are right for your plantings. Gardeners always have something interesting to do, plan, and discuss. Tell us about your project, and we’ll help you make it a success. We’ll see you soon!